Iranian elections: An uneasy victory for Rouhani? On 19 May, Iranians will go to the polls to elect their next President. President Hassan Rouhani seems to be on his way to a victory, but not an easy one. On 19 May, Iranians will go to the polls to elect their next President. President Hassan Rouhani seems to be on his way to a victory, but not an easy one. Although popular discontent has risen over his inability to deliver on his promises, the disarray within the hard-line camp means no one poses a major threat to the sitting president. In 2013, Rouhani was elected on a platform of hope and openness. Four years later, his main accomplishment in the eyes of the Iranian electorate is still the 2015 nuclear deal. But that didn't benefit them as much as advertised. Today's Iran, while arguably more open politically, is only marginally more open economically. Once in office, Rouhani appointed the most technocratic government the Islamic Republic had seen to date. He began to tackle issues such as inflation, which he succeeded in reducing to single digits after it hit 40% under his predecessor. But unemployment remains significant and Iran's economy opaque. The remaining primary US sanctions, coupled with the uncertainty surrounding the Trump Administration's policy on Iran, have made many Western firms reticent to risk business with Iran. What's more, major financial institutions continue to refuse processing payments for contracts involving Iranian counterparts. Business has been slow to pick up and the Rouhani Administration was late in managing expectations. In March, during his New Year's greeting to Iranians, Supreme Leader Khamenei said the Administration's economic policies had fallen short of what was promised. Add to this the fact that, in order to win the political game on the nuclear deal, the Rouhani Administration had to give in on, or ignore, domestic social and political reforms. Today, his popularity is waning. When a poll this month showed that the majority of Iranians thought Rouhani had been 'somewhat unsuccessful' or 'unsuccessful' in tackling economic problems and 72% believed the dividends of the nuclear deal hadn't trickled down, it was no surprise. But while Iranians view Rouhani less positively than after his election in 2013, they still consider him one of the only viable candidates in this year's elections. Iranians favour continuity over disruption, and the remaining candidates would most definitely represent disruption. Other candidates (still to be approved by Iran's Guardian Council) include former President Ahmadinejad, who defied the Supreme Leader's call for him not to run, and Tehran Mayor Mohammad Bagher Qalibaf. Qalibaf, a conservative politician and member of Iran's Revolutionary Guards, was popular during the last elections as he fostered a reputation for 'getting things done' as Mayor. But Qalibaf came under fire after a number of corruption cases within the Tehran Municipality, which he heads, and the collapse of the famous Plasco building in Tehran. 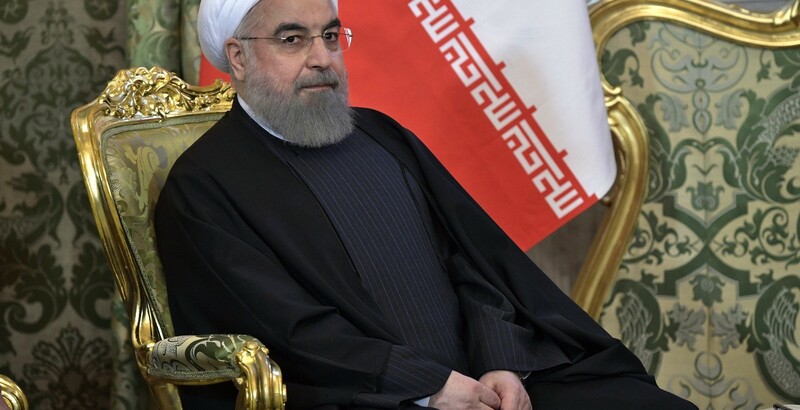 Rouhani will also face hardline cleric Ebrahim Raeisi, custodian of the Imam Reza shrine in Mashhad, a powerful position in the Iranian system. While Raeisi is a real contender given Supreme Leader Khamenei's reported support, he's still relatively unknown in Iran. It's also unclear whether the hard-line faction will succeed in overcoming their differences to back one candidate and pool conservative votes, something they failed to do in 2013. Today, only Rouhani has both popular recognition and credibility within the establishment. The key in this year's election will be voter turnout. Second-term elections in Iran are usually a stamp of approval for the Administration or a mark of disapproval. High voter turnout will demonstrate approval of Rouhani's policies while imbuing the system with much-needed and sought after legitimacy. But given the disillusionment with Rouhani's policies, this seems unlikely. Iranian elections are notoriously hard to predict. But this year it's hard to foresee another candidate winning against the sitting President. Rouhani's victory, however, will be uneasy, making it more difficult for him to claim popular support for his future efforts. The 2017 Lowy Institute Poll finds Australians have reacted to global events in a typically pragmatic way. But they are troubled about the direction of the world and divided about the way our own nation is travelling. Tiny island nations and Australia alike will benefit from intimate ties. Some argue Australia should not rest easy since it might get the European treatment when the President shows up. Could be, but I doubt it.